A native of Bulgaria, Theodora came to the US in hopes of a better future. Theodora enjoys working with people and after being here a few years she realized how much she would enjoy helping people to achieve the American dream of home ownership. Buying or selling a home can be a complicated and emotional process. Theodora understands the benefits of having a professional who can guide you through the process and has your best interests at heart. Theodora is dedicated, creative when difficult situations arise, efficient, organized, knowledgeable about the market and a true professional every step of the way. She also provides a strong attention to detail, is an excellent listener, goal-oriented and always willing to go the extra mile. Theodora graduated from Medical College and High School of Commerce and Tourism prior to her arrival in the US. She enjoys International travel and looks forward to exploring many countries in Europe, Asia and South America. Theodora loves the atmosphere and the energy of downtown Chicago and is a resident of the vibrant and booming Streeterville neighborhood. 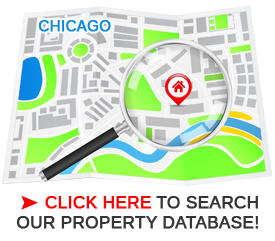 Theodora is a member of the National League of Realtors, the Chicago Association of Realtors and the Multiple Listing Service of Northern Illinois. Theodora is bilingual, speaking fluent English and Bulgarian. She is also a member of the Board of Directors in the building she resides.